Muscle relaxing injections are small injections into target muscles to reduce the appearance of lines, by smoothing the skin. This product has been used for over 30 yrs. It is used for different conditions within the NHS. Such as Hyperhidrosis, Migraines, Blepherospasm, and Urinary Incontinence. The muscle relaxing injections work by temporarily blocking the signals from the nerves to the muscles. The injected muscle can no longer contract, which causes the wrinkles to relax and soften. Results are individualised to the particular client and last between 3-5 months. We offer many different injectable treatments to smooth wrinkles and improve the signs of aging skin. Product and treatment choice is dependent on an in depth clinical assessment and consultation, taking into consideration patient preference, alternatives and informed choice. Areas that can be treated are Frown lines which are normally vertical lines that appear between the eye brows. Forehead lines, normally appear horizontally across the forehead. Crow’s feet lines, which appear around the eyes. Various techniques and treatments are available depending on what result the client wants to achieve. This truly life changing treatment is to stop the excessive sweating under the arm pits. Botulinum Type A is injected in small amounts with micro needles to each armpit. This temporarily blocks the chemical signals from the nerves that stimulate the sweat glands. When the sweat glands don’t receive that signal the sweating stops. The treatment starts to work within a week and can last for 6-9 months. Pricing at £450 for both armpits. Belotero, Juvederm, Teoceyal are all products used within the clinic. All these Hyloronic acid Fillers when injected give volume, hydration and wrinkle reduction. Hyaluronic acid is a substance of the skin that supports the structure of the skin and helps the skin stay supple and smooth. Hyaluronan diminishes in the skin as we age and so lines and wrinkles form. Belotero® is a hyaluronic acid filler that plumps up wrinkles by gently replacing the lost hyaluronan and restoring support in the skin. Aging is a part of life, and as the years pass, the less vibrant, refreshed and youthful the skin may begin to look. In youthful skin, there is an abundance of collagen, elastin and hyaluronic acid which give it volume, support and suppleness. As a part of the aging process, these natural support structures become less plentiful. The result is facial lines, wrinkles and skin laxity – all of which rob the skin of its youthful, fresh appearance. RADIESSE® Volumizing Filler works immediately so the results are instant. 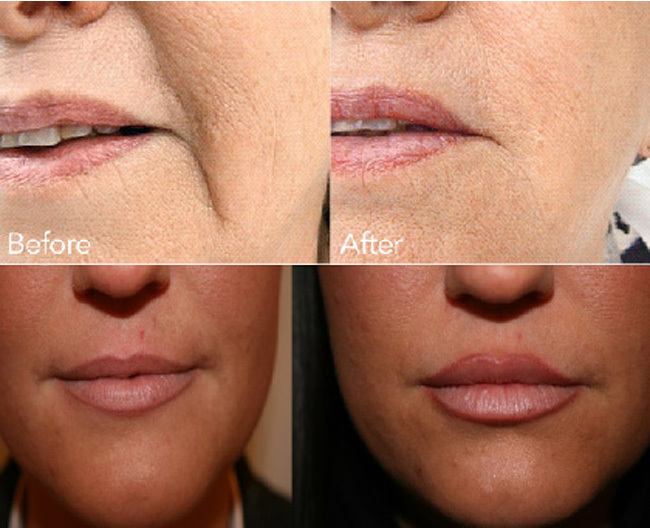 Once injected, RADIESSE Filler adds the volume and lift needed to diminish the signs of aging. What makes RADIESSE truly unique is the ability of the product to act as a scaffold under the skin, providing structure and stimulating your own natural collagen to grow. The production of natural collagen continues for several months, which extends beyond the initial effect of RADIESSE Volumizing Filler. Emma Millam, our experienced aesthetics nurse will be at Pure Indulgence Leigh Salon on the following Saturdays in 2019..
Emma is currently offering 10% off Dermal Fillers when you purchase Anti Wrinkle injections.